Lu Yang at Société. Courtesy the artist and Société, Berlin. Art week ignites Hong Kong’s spring season with a dizzying program of openings, special events, and new galleries—and it all starts at Art Basel. Between cups of milk tea and bites of dim sum, here are a few outstanding presentations at the main fair. Dazzling electric blazes, Manga dream girls, rainbow iridescent walls and forms closing in from every direction—step into Shanghai artist Lu Yang’s illusion cube and enter a dimension of her own making. The multimedia artist presents radiant fetish, her anime figures expressing and mutating themselves within a series of freestanding vertical monitors, each one decked out in glorious, pulsing tie-dye hues, occasionally encircled by anxiety-generating, racing neon frames—all while personifying Buddhist teachings on notions of genderless-ness in society. An existential crisis found in the back room of an arcade fantasyland. Installation view at 10 Chancery Lane Gallery. Image courtesy 10 Chancery Lane Gallery. 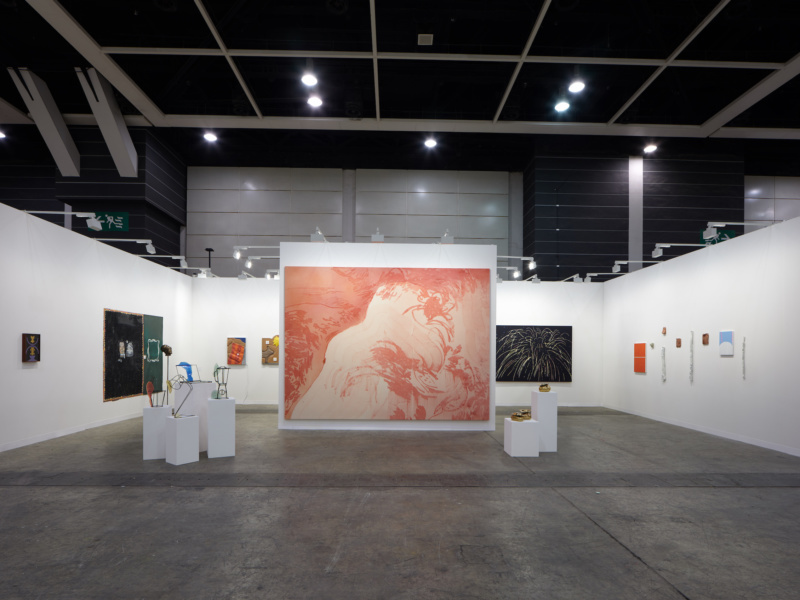 The Central Hong Kong gallery uses the occasion to give a lesson in local history, presenting the exhibition “The Stars Exhibition 40th Anniversary 1979–2019” within its booth. To mark the 30th anniversary of the Republic of China, the Stars Art Group, a network of avant-garde and self-taught artists, organized and opened the unauthorized show of “unofficial art” at the entrance to the National Art Museum of China on September 27, 1979. More than 30,000 people came to see the show—even though the police shut it down after two days. Eventually, “The Stars Art Exhibition” found a home at Beihai Park in Beijing. The presentation here includes a selection of this seminal show in Chinese contemporary art history, including woodblock prints from Ma Desheng, a painting by Huang Rui, and sculpture by Wang Keping. From Su Misu’s ihategoodbye at Chi-Wen Gallery. Courtesy Chi-Wen Gallery and the artist. This group show brings together eight artists exploring and expressing LGBTQ+ movements today. Bruce Yonemoto brings Japanese Enka music to a new generation by inviting Japanese and Taiwanese artists to write and sing new lyrics to popular Enka music. One of these artists is Yu Cheng-Ta, who also looks to popular music in his practice, here specifically highlighting migration from Japan to Taiwan. The show’s centerpiece, however, is ihategoodbye, Su Misu’s salon-style arrangement of tender, provocative portraits. Each subject in front of her lens, alternately staring right at us or lost in themselves, frames desire, lust, and intimacy within their own terms. Tishan Hsu at Empty Gallery. Courtesy the artist and Empty Gallery. Perhaps the city’s most dynamic young art space, Empty is a must-visit destination in Hong Kong year-round. 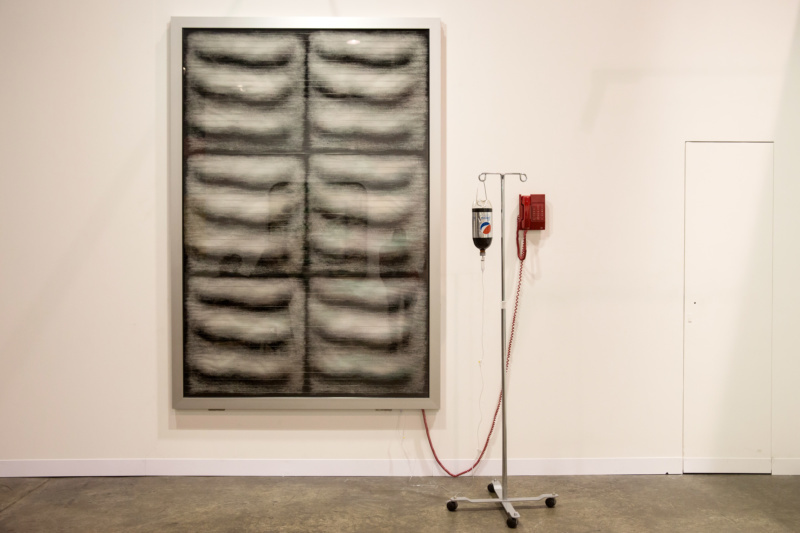 At the booth, they give a spare, selective presentation of work by American artist Tishan Hsu, a first showing of work he made between the mid-1980s to the early 1990s. This presentation runs concurrently with “Delete,” the 68-year-old New York- and Shanghai-based artist’s show now on view at Empty, in which he digitally manipulates and reworks family photo albums that survived China’s revolutionary years. The gallery is known for presentations of experimental exhibitions and sound work (and raves!). The Brazilian gallery, now with outposts in Brussels and New York’s Upper East Side, shows an eclectic variety of work from their international stable of artists. 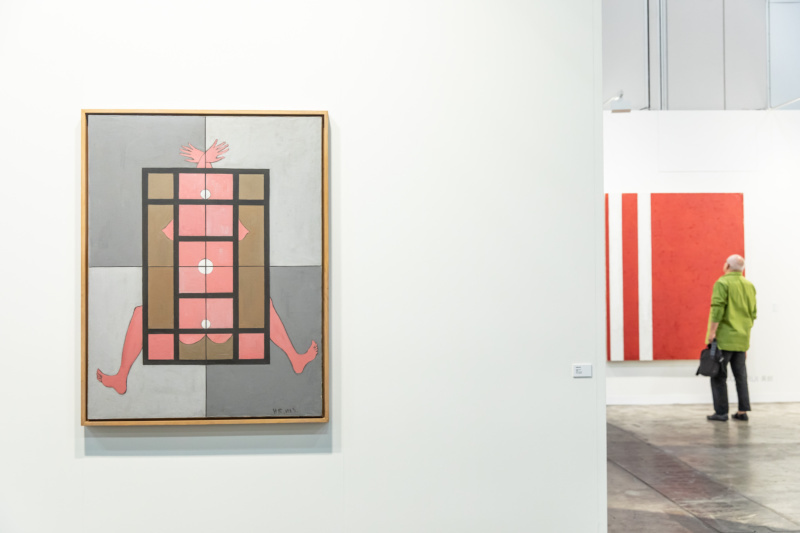 Neïl Beloufa shows his renditions of ordinary objects—a laptop, a lamp, a blender—made in cheeky, conceptual outlines, as well as a pair of his now-signature wall works, which flatten and distort odds and ends—here, a red towel or a brown dog—as much as it displays. Works by Rubem Valentim and Paulo Nimer Pjota round out the arrangement.